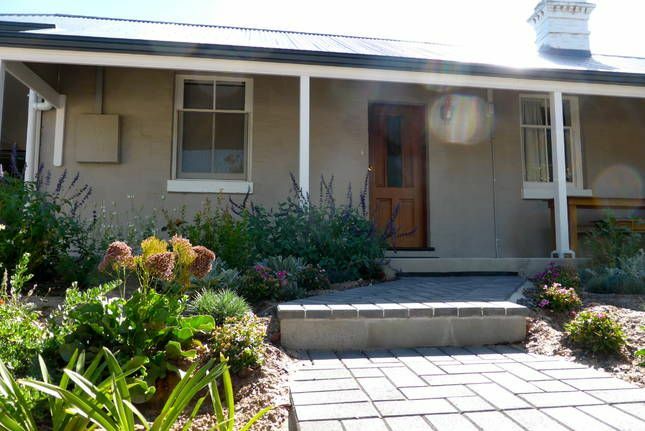 Situated in a quiet street just a hop, step and jump from all the action of Glenelg. A foodies dream with a vast range of cafes and restaurants. taste the world. Cosmopolitan shopping at its best. Many specialty stores created by local entrepreneurs. Public transport including the tram into the city. And the cherry on the cake a glorious beach a pleasant walk away. All you need in the cottage for a private and comfortable stay. One bedroom with queen size bed, the other bedroom has 2 single beds. Plenty of room for a fold out cot. A compact kitchen, a big luxurious bathroom and separate comfortable lounge. Peter's breakfasts are a welcome extra at just $10 p.p. Free range Eggs, scrambled, poached or fried served with Bacon, tomatoes and our local artisans sourdough bread. Home made jam and a Fruit platter to finish off. Close to some of Glenelg's best eateries. Shopping and beach a comfortable walk away. Enjoyed being close to the beach, cafes in Broadway and trans and shops in Jetty Road. Great bath! The cottage is in a quiet street but still easy walking distance to shops, cafes, public transport and beach. It is very clean and well equipped. The beds are comfortable, the bathroom is huge and the whole cottage has quality furnishings. The hosts are very helpful with great communication (and Peter has a claim to fame if you ask him!!) Would definitely recommend and stay again. Enjoyed our three nights staying in a lovely cottage very close to excellent restaurants, beach and tram into the centre of Adelaide. Peters cooked breakfast are a must. Penzance cottage was the perfect home away from home for me and my elderly parents for a few days whilst I helped them transition to their new retirement home. Our hosts Peter and Helen were just fantastic and very understanding of our situation. Everything was great - Beds were very comfortable, location was quiet, bathroom was huge, kitchen well equipped. The cottage is tastefully restored and decorated with modern, quality furnishings and decor that compliment this old historic building. Peter's home-cooked breakfasts were delicious too. I would have no hesitation in highly recommending Penzance cottage as a great place to stay and enjoy in Glenelg. Lovely hosts and comfort little cottage. Very comfortable and well equipped accomodation in a lovely, quiet street conveniently situated close to the beach and the cafes on Broadway.